“If you’ve never watched a silent movie before, this is the time to do it,” says the Stratford Picturehouse. That’s the spirit. 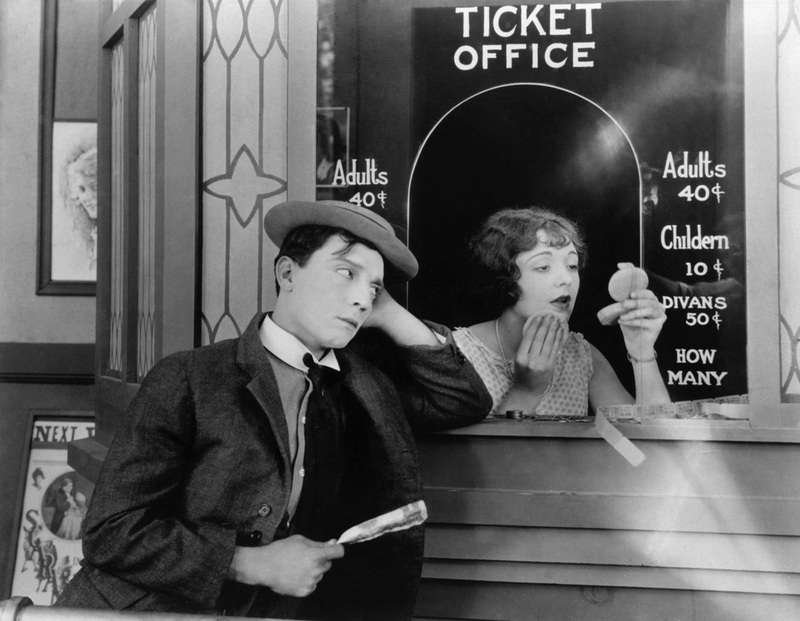 The east London cinema is having a day of cinematic interactive fun on Sunday – including screenings of Buster Keaton’s Sherlock Jr and One Week. After watching the first film, the audience will be encouraged to play along to the short, One Week, so if you’ve ever wondered what it would be like to accompany a silent film, this is your big chance. Although the setup might be a little more raucous that your average screening at the BFI – audience members are asked to bring their own instruments, whether “real” or homemade. The day of events is free and as well as the two Keatons, there will be “film karaoke”, plus screenings of The Gruffalo, krumping documentary Rize with a street-dance workshop and, as a finale, Singalonga Grease. Everything kicks off at 12 noon – for more details, click here. Hopefully the BFI members among you have entered the ballot for Light of Asia tickets – fingers crossed you get them, too. But there is also a chance to catch director Franz Osten’s two other collaborations with screenwriter Niranjan Pal in the mini-season curated by the South Asian Cinema Foundation. The Watermans Arts Centre in Brentford, Middlesex will be showing Shiraz (1928) and A Throw of Dice (1929) at the end of the month, no ballot necessary. I’m very fond of the Watermans, so I’m happy to say that they have told me they will be screening 35mm prints of both films, but I’m still waiting to hear about any potential musical accompaniment. I’ll update this post when I know more. But either way, these are classics of Indian cinema, forming a trilogy with Light of Asia. 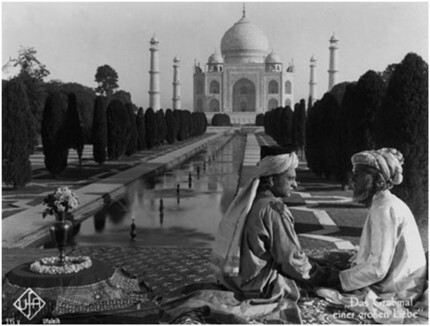 Shiraz tells the love story behind the construction of the Taj Mahal and A Throw of Dice is another romance, taken from an episode in the Mahabarata in which two kings gamble to win the love of a young woman. You may remember a few years back that the composer Nitin Sawhney wrote a new soundtrack for a restoration of A Throw of Dice, which was released theatrically. Shiraz screens at the Watermans Arts Centre at 4.30pm on Saturday 23 July and A Throw of Dice is on Sunday 24 July at 7.15pm. Tickets cost £10 or less for concessions or members, and are available here. Attending the screening will be the 3 children of the star Isabel McDonagh (Charles, Alan and Sandra Stewart) and also Trader Faulkner, son of another star of the film, John Faulkner. Regrettably, the 16mm print supplied by the Stewarts is severely affected by vinegar syndrome and is not project-able. However, the National Film and Sound Archive of Australia has very kindly sent us a DVD of the film which will be run instead. I hope this will not disappoint our audience too much as we always endeavour to run film whenever possible. 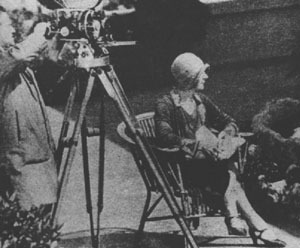 Self-taught filmmakers Paulette, Phyllis and Isobel McDonagh were also pioneers in Australian cinema. The three sisters collaborated to produce both feature-length dramas and short documentaries. Paulette McDonagh assumed principal directing and writing duties, Phyllis served as producer and art director and Isobel acted under the name Marie Lorraine. The McDonagh sisters debut film, Those Who Love (1926), premiered publicly in Newcastle, New South Wales, on 26 November 1926. The film was successful enough to finance their next picture, The Far Paradise (1928). Other McDonagh productions were The Cheaters (1930) and Two Minutes Silence (1933). The McDonagh productions were filmed almost entirely at the McDonagh’s residence, historic Drummoyne House. The films were set in an urban background, a contrast to the bush setting common to Australian films of the time. Another distinctive feature of the productions was the portrayal of the heroines, played by McDonagh sister Isobel (Marie Lorraine). These characters were more active than their contemporaries and the films ‘ showed her breaking and entering and cracking safes, as well as in a lover’s arms’. 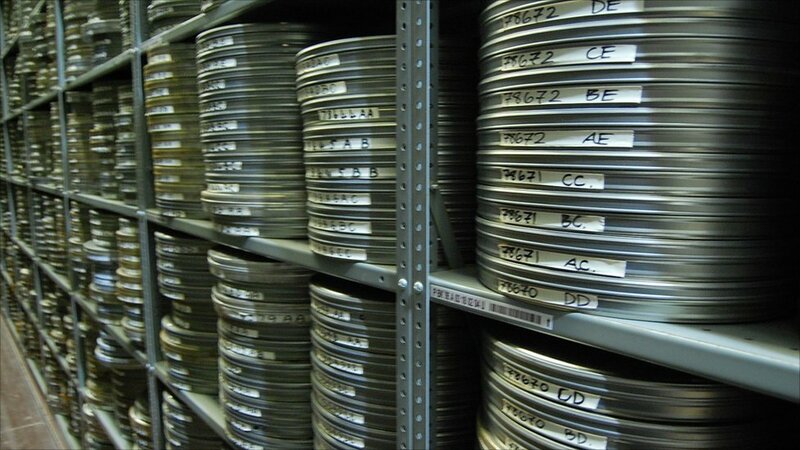 The McDonagh sisters’ work was all but forgotten until the re-screening in the early 1970s of The Far Paradise and The Cheaters (the prints are now held in the National Film and Sound Archive). Shortly before her death, Phyllis McDonagh received the Australian Film Institute’s 1978 Raymond Longford Award. It was presented to Phyllis in recognition of the three sisters’ contribution to Australian filmmaking. Today the McDonagh sisters are remembered as ‘the most talented of the late silent era film-makers in Australia’. The Far Paradise screens at St Gabriel’s Parish House, Churchill Gardens, Pimlico London SW1 on Saturday 9th July 2011 at 8pm. With thanks to Brent Reid for letting me know about this screening. Built in 1535 by prominent courtier of Henry VIII, Sir Ralph Sadleir, Sutton House retains much of the atmosphere of a Tudor home despite some alterations by later occupants, including a succession of merchants, Huguenot silkweavers and squatters. With oak-panelled rooms, original carved fireplaces and a charming courtyard. Not your run-of-the-mill cinema then. 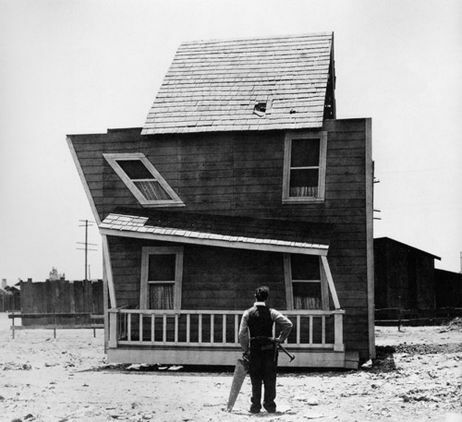 They will be showing four films: Earl McCarthy stars as Hairbreadth Harry in Sign Them Papers; Ben Turpin chases a pancake in Why Babies Leave Home; Harold Lloyd is a piano player in a wild west saloon in Two-Gun Gussie; and Buster Keaton dabbles in DIY in the sublime One Week. What’s more, there will be cocktails and popcorn – and guests are encouraged to dress “film star fabulous”. I think they’re suggesting you channel Bebe Daniels rather than Snub Pollard, but heck, it’s up to you. Doors open for the Silent Film Night at 6pm, and the movies will begin at 7pm, on 10 July 2011. Tickets cost £10 or £8 for concessions and include £1 membership of the Sutton House Music Society Film Club. Sutton House is at 2&4 Homerton High Street, London E9 6JQ. It is shaping up to be a great summer for outdoor cinema screenings in London – and that includes silent films as well. For starters, Buster Keaton and Harold Lloyd are camping out in Canary Wharf with Neil Brand and the Create London festival is putting on these two gems in an unusual location in Hackney. The Folly for a Flyover is a temporary arts space in Hackney Wick, situated right under the A12. It opens later this month and is hosting five weeks of events. You can read more about this exciting project here on their website. First up, Sawchestra are back with another interactive silent film show. The group make beautiful music from musical saws, children’s toys and other outlandish instruments and you can join them in playing along to Lotte Reiniger’s classic animation The Adventures of Prince Achmed on 25 June. That same night you will also have the chance to watch a selection of short films from Itsnicethat.com. The show starts at 8.30pm on Saturday 25 June and tickets cost £4. More details here. 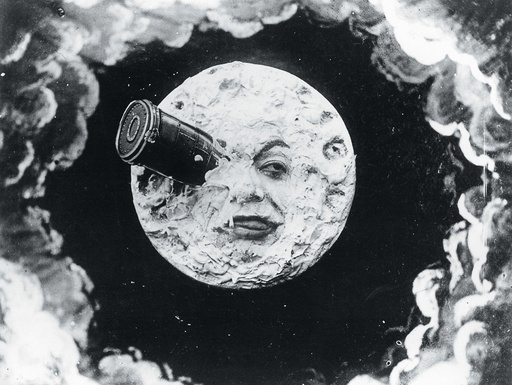 July brings more delights, as the Folly hosts a screening of George Méliès’s A Trip to the Moon and other early animations, with a live score from the musicians at the Guildhall Electronic Music Studios. This event might sound a little familiar – that’s because it’s a repeat of the Barbican show on 26 June, which I wrote about in more detail here. This looks great, and I hope the atmospheric location adds to the strangeness of it all – in a good way, I mean! The show starts at 8.30pm on Saturday 9 July and tickets cost £4. More details here. These screenings are of the Create London festival, a series of cultural events in London’s Olympic host boroughs. For more information on these and the other events in the festival, check out the website. And thanks to @susan_carey on Twitter for the tip. Buster Keaton’s popularity is booming, and rightly so. The stone-faced comic is seen as cooler, more elegant and less sentimental than Chaplin – but just as funny. And that’s why the Prince Charles Cinema in the West End has got two Keaton classics lined up for summer, to continue its silent season. Something really magical happens when you watch silent comedy with live music, and most importantly, a big crowd. You’ll laugh until your sides ache, just see if you don’t. 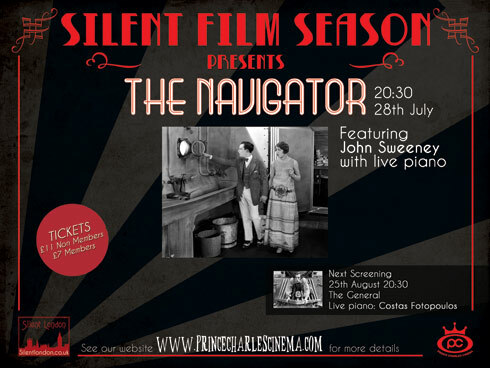 The Navigator screens on 28 July at 8.30pm, with piano accompaniment by John Sweeney. Tickets cost £11 or £7 for members and they’re available here. Check out the Facebook page here. Keaton’s The General is one of those notorious cinematic beasts – a film that was panned on its initial release and now sits securely in the top ranks of those Greatest Films of All Time lists. Set in the American Civil War, The General is crammed with stunts that are equal parts hilarious and precarious, as Keaton races across the US in pursuit of his beloved locomotive, his girlfriend and some dastardly Union spies. But you don’t have to take my word for it: here’s New York Times critic AO Scott, and some choice clips from the film. The General screens on 25 August at 8.30pm, with piano accompaniment by Costas Fotopoulos. Tickets cost £11 or £7 for members and they’re available here. Check out the Facebook page here. The BFI’s year-long celebration of Russian cinema is in full swing. It may be a matter of some sadness to us that the first section of the season, covering the silent years, is over, but we still have some treats to look forward to. There is still a chance that the throat-singing band Yat-Kha will overcome their visa problems and return to the BFI for a live performance of their Storm Over Asia score. Having heard the recording the other day, I’d definitely say that would be worth checking out. Next up in the season is a science-fiction film from 1936 called Cosmic Voyage, all about the first journey to the moon, a dangerous mission aboard the USSR 1 – Josef Stalin. Accompanying that film will be a 1912 short by animator Ladislaw Starewicz, Voyage to the Moon. Starewicz is celebrated for his charming, early “insect films”, which use stop-motion animation and beetles with wires for legs. You may know, for example, The Cameraman’s Revenge, a whimsical tale of marital infidelity among insects. 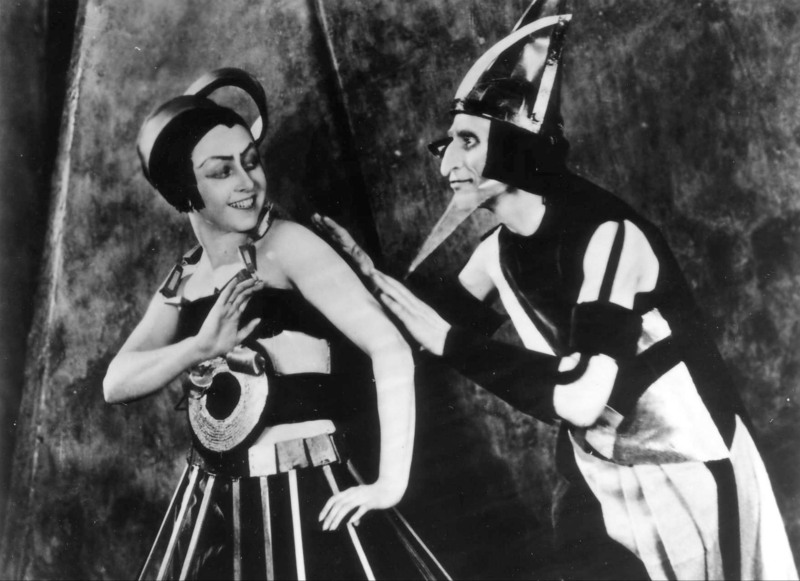 Aelita, Queen of Mars with Interplanetary Revolution screens on Sunday 10 July at 6pm in NFT1 and Monday 25 July at 8.30pm in NFT 2. Both screenings will have live piano accompaniment. Cosmic Voyage with The Moon (1965) and Voyage to the Moon (1912) screens on Sunday 24 July at 8.20pm in NFT3 and on Tuesday 26 July at 6pm in NFT3. Tickets are on sale as of today to BFI members and soon for everyone else. Tickets cost £9.50 or £8 for members and you can buy them here, on the BFI website. You may also be interested in the lecture that opens the Kosmos strand, which will be given by Soviet cinema scholar Sergei Kapterev on Friday 1 July at 6.20pm in NFT2. Tickets cost £5. An a cappella choral score from Grammy award winner Imogen Heap to the first ever surrealist film ‘The Seashell and the Clergyman’ (Germaine Dulac, 1927) with the Holst Singers; Micachu and an old cassette player to Lotte Reiniger’s ‘Hansel and Gretel’ (1955); haunting vocalist and multi-instrumentalist Seaming accompanying Maya Derren’s ‘Meshes of the Afternoon’ (1943) and Tara Busch’s compelling performance alongside Lois Weber’s early thriller ‘Suspense’ (1913). In addition, hotly tipped Blue Roses is re-scoring classic ‘Dr. Jekyll and Mr. Hyde’ (1920) and fashion photographer and filmmaker Wendy Bevan is bringing a dark 1930s cabaret inspired performance with her new band Temper Temper. If those films and artists are unfamiliar to you this review of the Sound & Silents night at the Southbank Centre by Bidisha gives a real flavour of what you can expect. She’s pretty enthusiastic about it. And rightly so: I’m a real fan of Tara Busch’s spooky, icy score for Weber’s Suspense, in particular. And you can find out more about Blue Roses, who will be scoring Dr Jekyll and Mr Hyde, here. 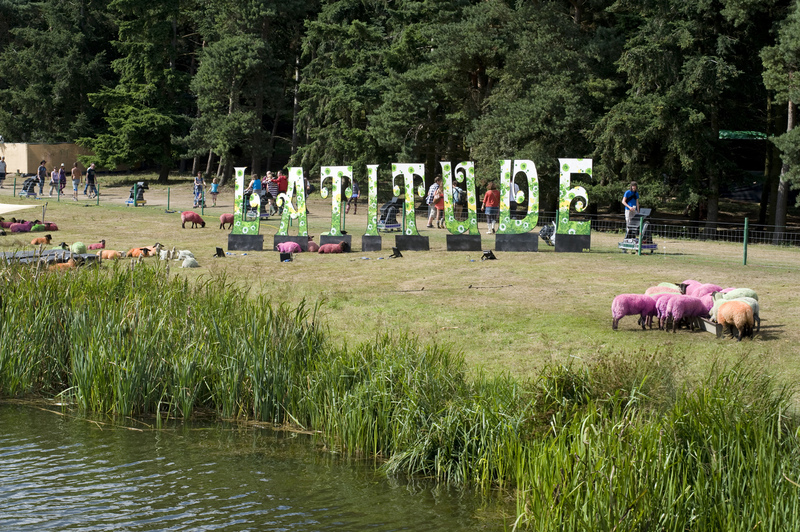 This year, Latitude Festival is headline by The National, Paolo Nutini and Suede. You can find out more about the festival, including how to buy tickets, here on the official website. Well, I couldn’t be certain initially, but now all is clear. Adrian Utley from Portishead and Will Gregory from Goldfrapp will be performing their score for Dreyer’s magnificent film The Passion of Joan of Arc (1928) in London this summer. The show is scheduled for Sunday 24 July 2011, as part of the I’ll Be Your Mirror festival at Alexandra Palace, which is curated by Portishead. The full lineup (such as it is, so far) is here and tickets, including single Sunday tickets (£63.15) are available here. The initial blurb for the festival promised a cinema – so would it be too much to hope that there will be further silent film screenings at the festival? Possibly. You don’t often get to see silent films at pop festivals, but then again you don’t get many pop festivals in locations as grand as Alexandra Palace. 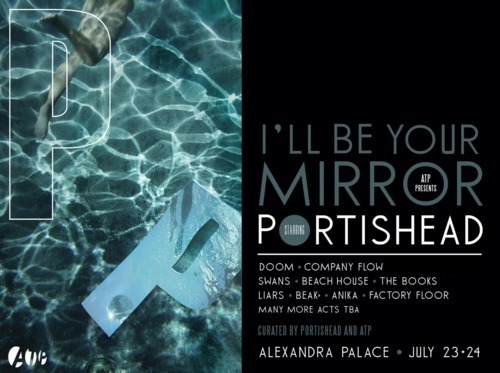 The I’ll be Your Mirror festival, an off-shoot of All Tomorrow’s Parties is curated by Portishead, and takes place at Ally Pally next July. The most intriguing act on the lineup for us is The Passion of Joan of Arc. We’re really hoping that this will be Dreyer’s silent classic from 1928 – and that this will be another chance to hear the score that Adrian Utley of Portishead and Will Gregory wrote for the film. We got in touch with I’ll Be Your Mirror a couple of times but so far have had no response. Still, this looks like a fairly safe bet. Unless these guys have changed their name.